Beyond camp and youth sports for kids, the JEA has many different types of programming for adults! The focus of our programming is to engage, educate and inspire people to expand their Jewish horizons. Our goal is to offer a diverse palate of events that are experiential, entertaining, and that give us a deeper understanding of Jewish living and learning in a rapidly changing world. For more information, contact Jacqui McGrail, programming@savj.org. Each year the JEA reaches out to our community and hosts the Annual MLK Concert and the Black Heritage Festival Concerts. The Konter-Weiland Comedy Club night brings together JEA members and Savannah Jewish Federation donors for a fantastic evening of entertainment that features some of the hottest stars in the world of comedy. Throughout the year we host authors, speakers and musicians, and present a variety of educational programs about Jewish life and learning, current topics and Israel. We also provide a venue for other community organizations to host their events here. Some examples are Clean Coast and Greater Savannah Athletic Hall of Fame, the United Against Nuclear Iran Coalition, public meetings for the City of Savannah, the Hispanic Flamenco Ballet, political candidate forums and more! The Joan and Murray Gefen Memorial Savannah Jewish Film Festival is truly an exhibition of international cinema that celebrates the wonderful diversity of Jewish history, culture and experience through the moving image. The SJFF is presented annually by the Jewish Educational Alliance in partnership with the Savannah Jewish Federation. Since 2003, the Savannah Jewish Film Festival has presented films that bring to life a variety of personal and societal topics which illuminate Jewish experience around the world. Special events during the Film Festival include meal and movie nights, featured speakers and film makers. Community Jewish Holiday celebrations are a highlight of our programming each year. Various groups celebrate Sukkot in our JEA Sukkah. These groups include our preschool, PJ Library and Young Jewish Savannah. 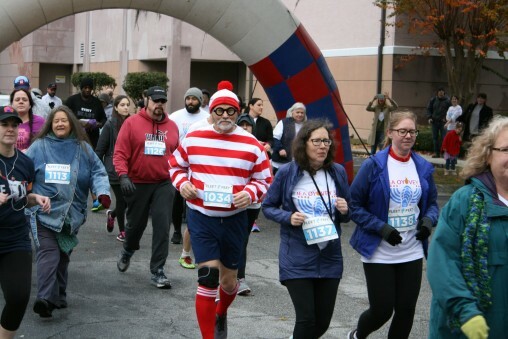 Chanukah is celebrated with a ceremonial outdoor Menorah lighting and Chanukah Games Event and new this year (2018) our Oy Vey 5K Run/Walk! Our Purim Carnival is a family event that includes a costume parade, Purim arts & crafts, music, bouncy houses, food and more! On Yom HaShoah we commemorate the day of Holocaust Remembrance with educational events, a student art and writing contest (open to all Savannah-area students), reading of the names of children who perished during the Holocaust, and a moving ceremony attended by over 350 Jewish and non-Jewish community members. We celebrate Israel during our Yom Ha'atzmaut and Yom Yerushalayim events that vary each year and have included Israeli films, Israeli speakers and food festivals.